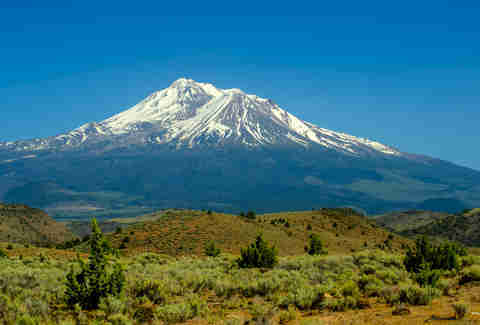 "Shasta! 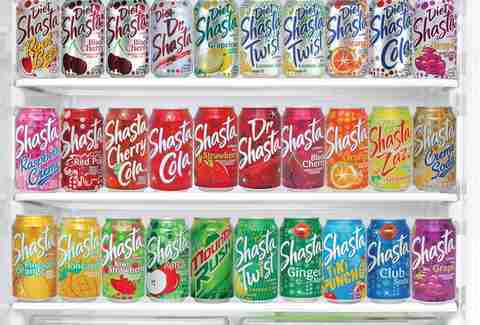 It hasta be Shasta!" While you've probably heard the slogan of the 125-year-old soft drink manufacturer -- born on the base of Mt. Shasta, California -- before, you probably haven't heard a whole lot else, which is super weird because: 125 years. 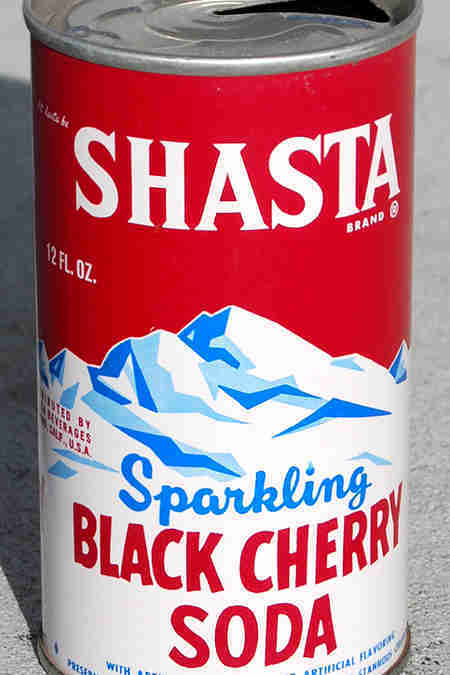 Well, we decided to fix that: here are a bunch of things you didn't know about Shasta (including whether it'll ever bring back the "infamous" Bubble Gum flavor). The first product it sold in 1889? Mineral water distributed in siphon bottles. 2. Shasta's HQ also used to be... a vacation retreat? Located at the base of Mt. Shasta, California, Shasta pulled its mineral water directly from the springs on the property, which also featured a "health and vacation resort." Because nothing says “spa weekend” quite like bubbly water. 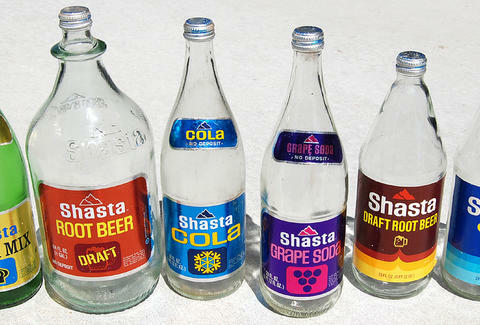 The name was changed to Shasta Water Company and the offerings became a line of carbonated beverages available in 12oz bottles. 4. 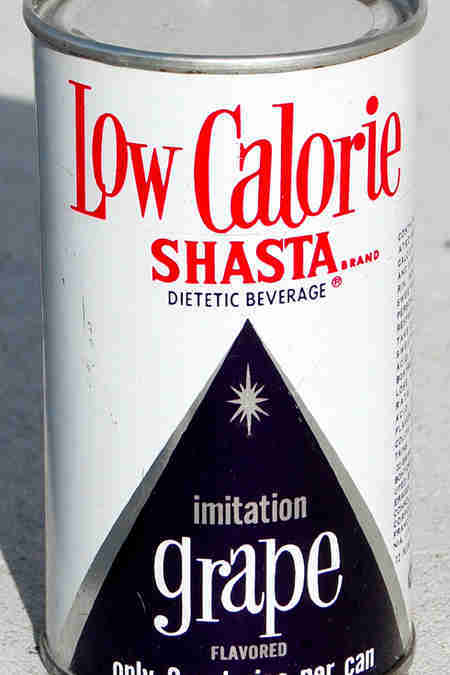 Shasta's first soft drink? Ginger ale. 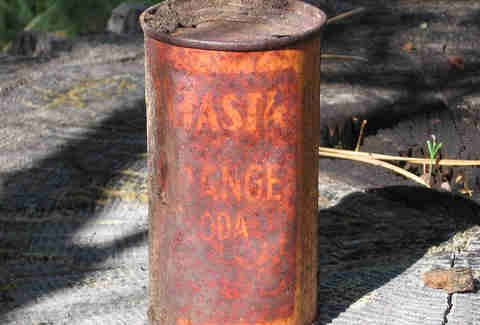 Specifically Shasta Pale Dry Ginger Ale. Also in 1953 -- clearly a huge year for the future of soft drinks. Although that wasn't until the 1960s. 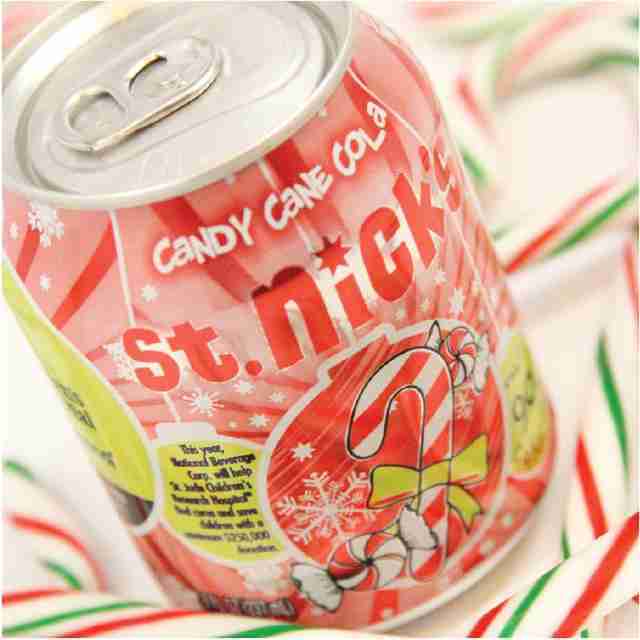 It’s called St. Nick’s and the proceeds benefit St. Jude Children’s Hospital. Awwwwww. And sure, you can get cola or grape, but why would you when you could also get Grapefruit Zazz, Tiki Punch, or California Dreamin’ creamsicle??? And a sangria flavor. And a CHOCOLATE flavor. AND SUPER MARIO BROS FLAVORS. Sadly, those are all now in Shasta heaven (RIP Mario Punch and Princess Toadstool Cherry), along with a handful of others. Go figure, people don’t want to drink sangria without the, you know, actual wine. Yes, THAT Ministry. Al Jourgensen later said he wrote TV and radio jingles to pay the rent and help support his drug habit. When the old dude was complaining about how there were too many soda commercials on television. 14. And maybe most important of all? The Beastie Boys totally drank Shasta. Daisy Barringer is Thrillist's SF Editor and she would love it if you would follow her on Twitter @daisy and tell her your favorite Shasta flavor.